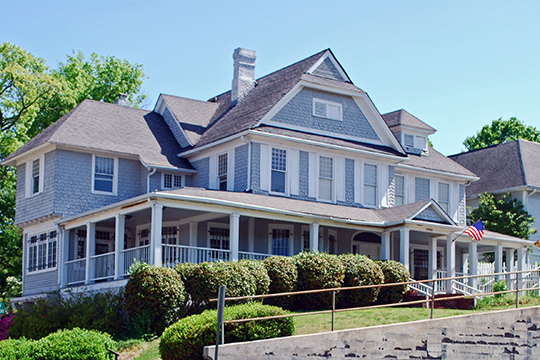 Photo: Kelley House, 1903 McCallie Avenue, Chattanooga, TN; one of the oldest major examples of the Shingle style remaining in the city. Listed on the National Register of Historic Places in 1980. Photographed by Andrew Jameson (own work), 2010, [cc-by-3.0 (creativecommons.org/licenses/by/3.0)], via Wikimedia Commons, accessed November, 2014. The Hamilton County Clerk's office is located at 625 Georgia Avenue, Room 201, Chattanooga, TN 37402; phone: 423-209-6500. Hamilton County was created in 1819.